A charming, tole metal and wood chandelier. 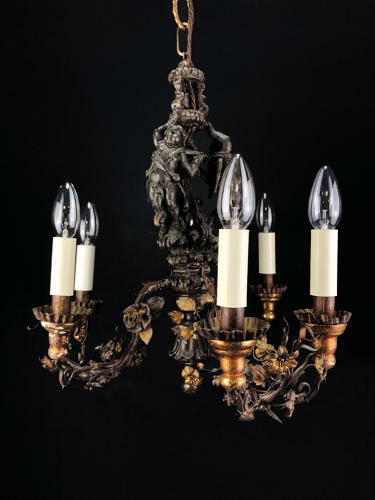 The central stem of carved cherubs, issuing six scrolling branches of light, entwined with gilt tole metal flowers and candle holders. French, circa 1680.